The Morevna Project is an ambitious undertaking to create a feature length, anime style, animation using only Open Source i.e. freeware software. 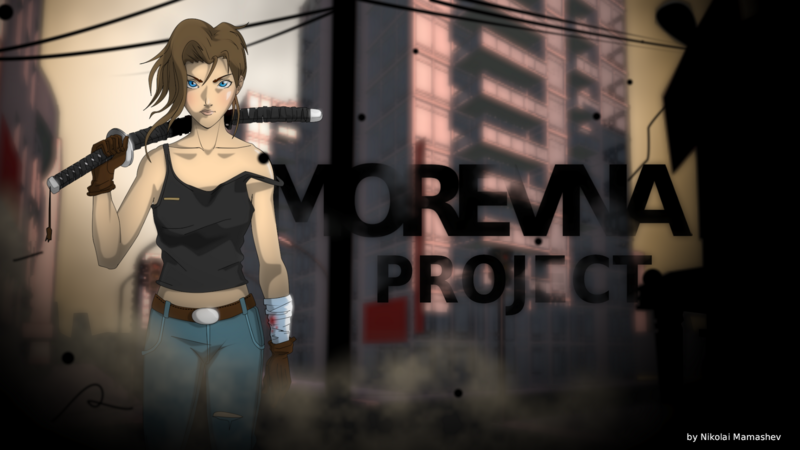 Begun sometime in 2008, the project's blog is a fascinating insight into the development of an animation that began as an idea and continues with perseverance and little to no funding. Currently the project's Russian creators, Konstantin Dmitriev and Nikolay Mamashev, are trying to raise some funds so their lead animator (Nikolay) can work full time for the next two months in a big push to get their demo finished by the end of 2012. Their video below, in Russian with English subtitles, explaining their need for funding is also a great overview of the project and gives a step by step look at how an animation goes from idea to finished movie. Not only is the project inspirational because it uses freely available animation software like Synfig (2D), Pencil (2D) and Blender (3D) but also you can access many of the projects source files sketches and more. The entire project is 'open source' and licensed under creative commons attribution. The team has even created their own software, Remake, which helps to manage all the source files created with Synfig, Pencil and Blender so that if you make changes in one file, any other files attached to that file will also be updated. I've only just discovered this project today so I really have only scratched the surface of reading through their blog and looking at some of work in progress animations and sketches done so far. To me, all of it is very impressive and demonstrates that high quality animation can be achieved without high priced software. That's not to say high priced software isn't worth the money. It's more to say that if your dream is to create animation of the highest quality but you're stuck due to a lack of money for industry standard software, you have options that are free and just as capable. Take a look at the rough cut 'snapshot' of the demo completed to date and keep in mind this has all been done with the freeware software mentioned above. Unfortunately there's no sound as yet but when there is, it'll be awesome. The team's Youtube Channel is well worth a visit as it features many tutorials, using the various programs, created during the process of making this project. You'll also see other sample animations from other projects as well.